Comprehensive benefits packages can be offered even by smaller companies. We can help your group with many different lines of coverage including; medical, dental, vision, life, and disability. In addition, We offer supplemental benefits, with no employer contribution, to help you round out your employee benefit package. Many employees appreciate the opportunity to protect themselves against unforeseen accidents, illnesses, and injuries which can be expensive even with comprehensive benefits. 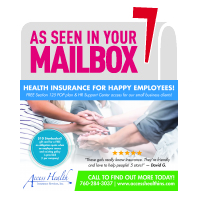 We can help you pick a benefits package within your budget. There is no charge to have us as your agent; We are paid by the carrier’s directly and it doesn’t affect your pricing at all. As agents, we are here provide service and help you seamlessly administer your employee benefits. Would you like additional quotes for group dental? Would you like additional quotes for group vision insurance? Would you like additional quotes for group life insurance?